Hi everyone~this is one of my November projects for Vinatge Street Market. I used a Vintage Fusion kit. The twine is by Vintage Street Market as is all of the vintage bits and pieces. 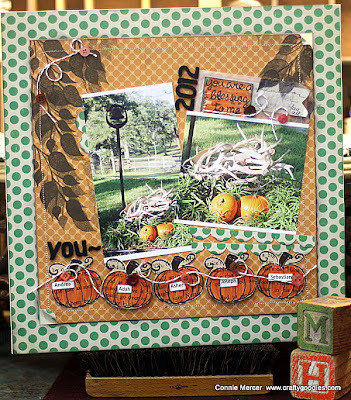 The Ivy stamp is by Dyan Reaveley and the pumpkin stamp is by Lawn Fawn. I won't be around for the next couple of days~have a wonderful and blessed Thanksgiving and I'll see ya soon!!!! 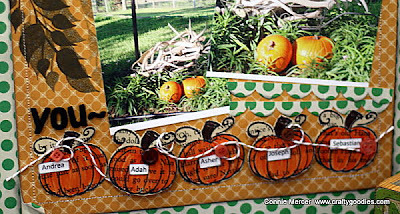 ooooo i love the pumpkins and design. awesome! Wowwwwwwwwwwwwww!! This is GORGEOUS!! 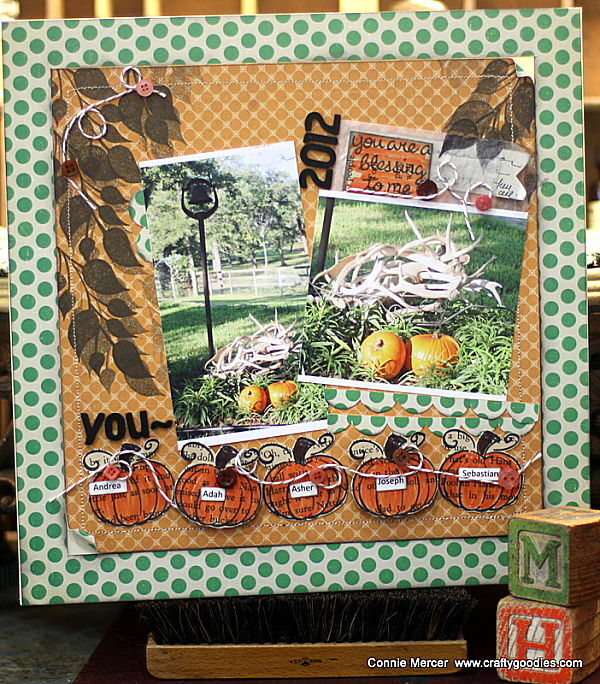 I love love love love the pumpkins and the leaves!!! Happy Thanksgiving!! Have a great weekend with the family, Connie. Add a gorgeous layout! Love your row of pumpkins! Hope you have a wonderful weekend and fantastic Thanksgiving! Very nice Connie! Love the papers and dimension.